The aim of the paper is to present unusual achievements of three women sociologists who won the Nobel Peace Prize. Its goal is also to contribute to a long standing discussion of the role sociologists as public intellectuals. 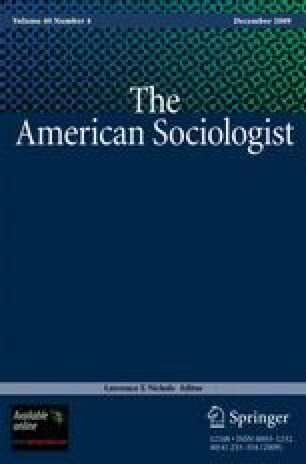 By focusing on Addams, Balch and Myrdal’s scholarly and public life, the paper demonstrates what social scientists can offer in the role of public intellectuals and debates what are the source of intellectuals’ public standing. The paper concludes by arguing that these three intellectuals’ successful achievement of their goals was possible because of their professional credential and because of their courage to take on risky actions for purposes to institutionalise social or cultural change. Balch, E. G. (2006). Nobel Lecture http://nobelprize.org/peace/laureates/1946/balch-lecture.html. Jahn, G. (2006). The Nobel Peace Prize Presentation Speech http://nobelprize.org/peace/laureates/1946/presentation-speech. Schneider, D. (2003). Literature on Women Immigrants to the United States Dept. of Sociology, University of Illinois http://barthes.ens.fr/clio/revues/AHI/articles/volumes/schneid.html accessed 12 December 2006.